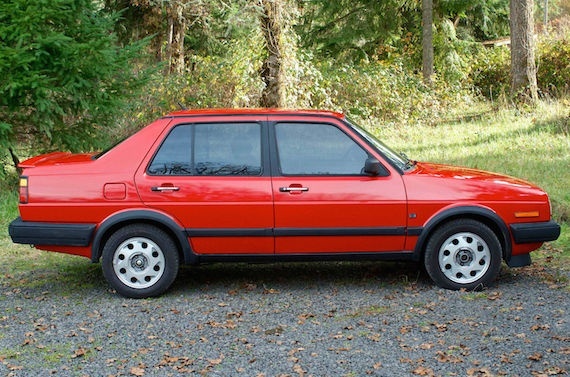 Back when it was first introduced to the American public, the Jetta was billed as a “Rabbit with a trunk”, designed specifically for people who required extra cargo space and preferred the styling of a sedan over that of a hatchback. Curious to know just how far VW have come ever since they sold over 3.2 million units of the first-generation Jetta? Here’s a direct comparison between a restored 1982 model and the all-new 2019 car, which boasts highlights such as ambient lighting, driver assistance systems and a digital cockpit display. 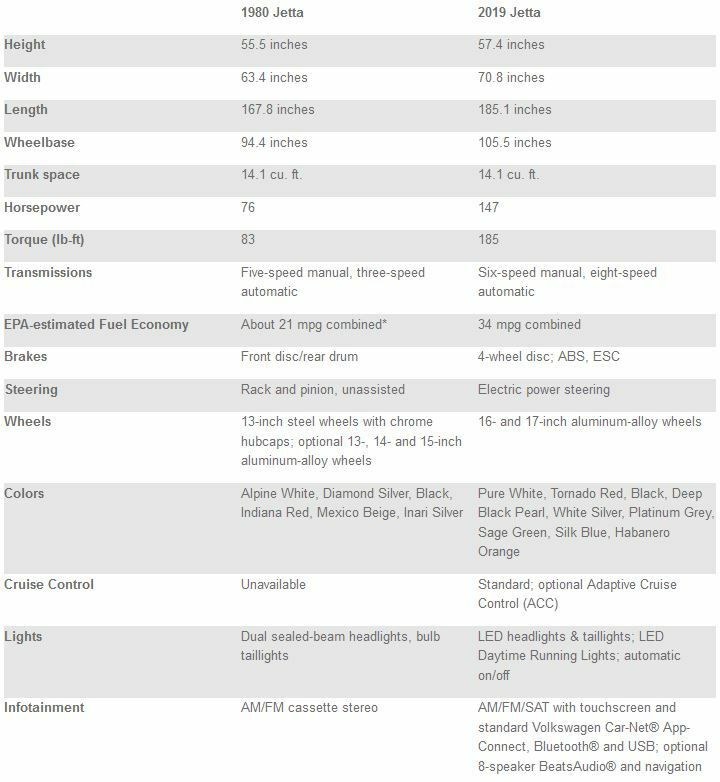 Yet, the original Jetta had a pretty impressive list of standard features for its time. From power-assisted brakes and AM/FM cassette-player combo, to cut-pile carpet and intermittent wipers. Optional extras included the three-speed automatic transmission, air conditioning, a sunroof, tinted glass and alloy wheels. When it comes to size, it’s obvious that the newer model is considerably bigger and more spacious. The wheelbase is larger by 11.1 inches (28.2 cm), while overall length has grown by 17.3 inches (43.9 cm). The only thing that’s identical, according to VW, is the trunk space – both cars have 14.1 cu.ft (400 liters) of volume. Back in the 1980s, LEDs were mostly found on calculators. Today, the 2019 Jetta employs this technology for its headlights and taillights, as well as its signature Daytime Running lights and 10-color interior ambient lighting. As for driver assistance features, the closest thing to that in 1980 was the fact that you could adjust the Jetta’s side rearview mirror without having to roll down the window. The current model not only lets you do that electronically, but it also offers a Blind Spot Warning system, alongside the standard rearview camera. 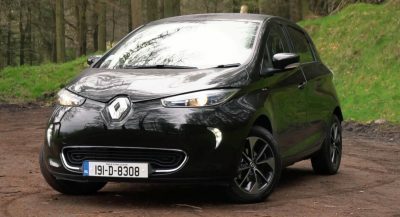 Other safety or convenience-related systems include Forward Collision Warning and Autonomous Emergency Braking (Front Assist), High Beam Control (Light Assist) and Lane Departure Warning (Lane Assist). Then there’s Apple CarPlay and Android Auto connectivity, and an 8-speaker BeatsAudio system, worlds ahead of any AM/FM cassette stereo from the 80s. The 2019 VW Jetta will arrive at U.S. dealerships in Q2 of 2018, priced from $18,545. I had a white one. 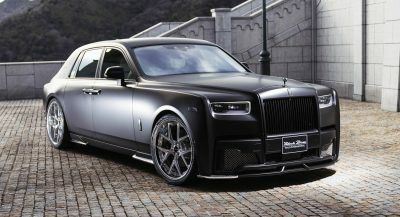 Fabulous car especially for the times. That 21 mpg number is wildly pessimistic. I routinely achieved 32. With two ashtrays? I’ll take the original thanks! I remember those early Jetta days, and Jettas were poor men’s (and women’s) bimmers. I owned a 1989 GLI with Recaro seats. https://uploads.disquscdn.com/images/93c036911191ea1e51f81d28ce9b0736db6eb3691dd52b096594c57ff48d9bfe.jpg They were sporty, good looking and distinctive for that time, and affordable. Today, they seem to be more like Corollas. Will the real VW Jetta please stand up! I agree those mk2’s were the best. Just like the mk2 Golf. I had a blue 1989 Jetta CLi. Man that was a nice car! There was something special about the Jetta in the 80’s. I thought one day I would move up to the Jetta GLI, but first I have to get a GTI. Maybe when I am much older I can move into a Quantum Syncro Wagon. 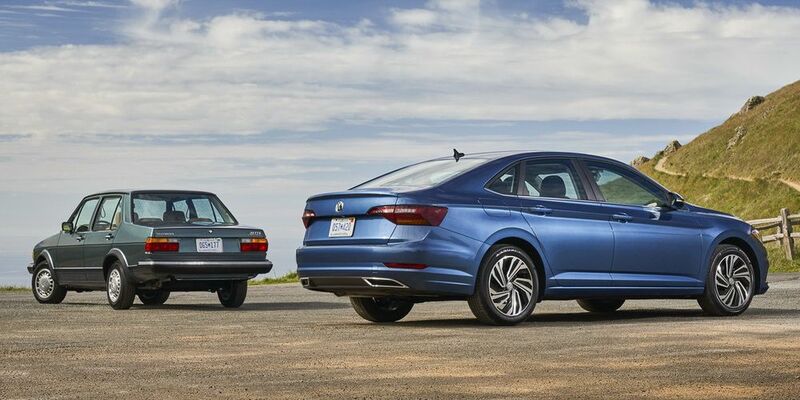 Gotta say, the original Jetta looks matured quite well, if you squint enough the back looks like BMW. agreed. Something cool about cars from that boxy era. and… the new one loos like and Audi. So, they are basically the same thing. Hey, the mk1 had LED’s as status indicators! It had a blue one for high-beams, green one for indicators and a red one for low oil pressure! High tech stuff man! 8 cupholders vs. 1-2 USB ports , WTF???? that they want you taking frequent potty breaks. 168 inches long – that’s about the length of my old mkV GTI, but with a trunk. 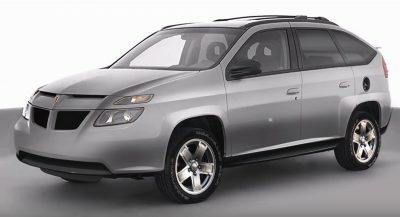 Kinda sad there’s this much bloat – would be nice to see something the size of the original Jetta with a modern engine and passenger safety cell – too bad most people would rather sit in traffic in a $50k CUV than a $18k car with AC and a USB port, even if that $18k car will save them a huge amount in up-front and fuel costs.